If you're elected, what will happen to the New Bus for London? Have you been on one and what do you think of it? The new bus is not for London, but only operates on the number 38 route. It is the most costly bus scheme ever at the a cost of nearly £1.6 million per bus – eight times the cost of a conventional £190,000 double-decker. So I will not be continuing with this gigantic waste of money. I will be investing in much cheap, more fuel efficient buses and will eventually replace the entire fleet with electric buses, which will see a significant improvement in the air quality in London. Currently, poor air quality is killing more than 4,000 Londoners a year prematurely, and the Tory mayor's response, incredibly, is to spray a sticky substance near the air quality monitoring stations to try to get the reading down. What will you do to support river bus services to and from Greenwich, and can you help make using them cheaper with your fare deal policy? My Fare Deal fares cut will save average fare payers £1,000 over 4 years, so I am very keen for the residents of Greenwich to benefit from that on public transport. But the river bus services are privately operated. They are very expensive and not very reliable. I will look at the licensing arrangements of the river bus operators and see if it's possible to get a better deal for fare payers who use them. It has been reported recently that over 200 Metropolitan Police detectives will be investigating phone hacking next year, the equivalent of eight murder squads. Do you think this is a sensible use of police resources? All crimes should be investigated. In this case it seems as if one global news organisation had ministers at their beck and call and anxious to help them commercially, with Tory ministers helping News Corporation when they should have been regulating them. Boris Johnson found time to attend a News International board meeting - but then, he meets bankers and media moguls more than he meets the police. Rather than telling to ease off on investigation of his friends the Murdochs and his Tory cabinet chums, Boris should have been meeting the Met to talk about rising crime. Knife crime has been rising across London over the last 3 years. he has also admitted cutting the police numbers. I have pledged to restore them. Last year Green Party Mayoral candidate Jenny Jones was reported as saying that it was “ludicrous” for the Metropolitan Police to assist the parents of Madeleine McCann in the search for their daughter. Would the candidates agree with me that this was a crass and insensitive remark and that it is perfectly proper for the British Police to be involved in this case? As I said previously, all crimes should be investigated. I don't like to criticise other candidates for one-off remarks they might later regret- I've made a few of those myself in my time! But politicians should be really held to account when they persist with words can affect the situation in a way that risks danger or violence. After the 7/7 bombing Boris Johnson said it was all the fault of Islam. These were crass, insensitive and potentially dangerous words- which he did not later retract. Thankfully, most people in London don't share those views and we avoided the type of inter-communal violence that other cities have seen. Will you bring back The Londoner newspaper? No. The paper was good at promoting events and providing information, which brought visitors to London, increased jobs and kept Londoners informed. Now all that can be done online. The total cut in government funding of the London Development Agency was £300 million per year. Boris Johnson has welcomed this cut, calling it 'waste'. This was money that promoted investment and tourism in London, which the Greenwich economy needs, and it also supported funding for childcare which helped families into work. I will argue for London's fair share of funding. After all, it's the powerhouse of the national economy and if it doesn't receive proper funding, everyone will suffer. Will you keep the alcohol ban on London transport? If the cable car is completed, do you think it has a long term future or do you expect it be financially unsustainable? 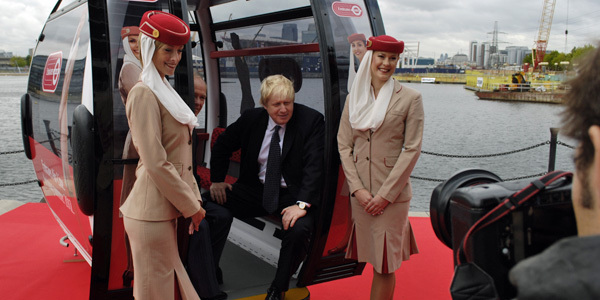 The Tory mayor promised that the cable car would be financed without a penny of taxpayers money. Now we find that it almost exclusively public money- a massive vanity project for the mayor when he could have invested much more productively in the transport network. It is very unlikely ever to be financially viable, and a permanent drain on resources. Please can you put your sums for all election pledges online before election day so all residents can review them? And finally, Why do you think the people of Greenwich should support you in these elections? This is a serious election, at a time when people are really struggling. The real issue is who will make you better off? Boris Johnson has shown he is a true blue Tory, with inflation-busting fares increases that are completely unnecessary. Labour values are to support people when times are hard, and my pledge to cut fares will make London's fare payers £1,000 better off. What are you going to do with the fleet of the New Bus for London? Do you have plans to expand their use to the other routes? I am proud and delighted that we have elegantly restored a hop-on hop-off platform bus, a masterpiece of 21st Century British design that is delivering British manufacturing jobs. As I pledged in 2008, I got rid of the German made bendy buses, as promised, and we are running the New Bus for London – which costs no more than a hybrid bus - on the number 38 route. This is helping us to deliver on air quality standards with fuel consumption 50 per cent lower than a conventional diesel bus. I will expand the New Bus across London with 600 new buses by the end of my second term. I will do this in a cost effective way, by replacing existing buses as they are decommissioned with the New Bus. Ken Livingstone has now said he wants to cancel this bus, putting British jobs at risk. I am proud of the work of the Met in the last four years. In the teeth of a grim recession they have continued to bring crime down almost 11 per cent overall; with the Tube 20 per cent safer, the buses 30 per cent safer, robberies on buses down by almost a half; and the murder rate down by a quarter to the lowest rate since the 1960s. It is important to put ensure the Met has the right resources to fight crime and that’s why in have invested an extra £42million in the service meaning we have been able to put 1,000 more fully warranted police officers on London’s streets at the end of this term than I inherited. I will also boost Safer Neighbourhood Teams, with an additional 2,000 police, and establish Safer Neighbourhood Boards in every borough giving local Londoners and victims a greater voice. I believe that the police should target the crimes that most concern Londoners. I will use my new powers in the Mayor’s Office of Policing and Crime to ensure they are doing that as well. As Mayor I have of course followed this awful case, and feel intense sympathy for the McCann parents. The Prime Minister announced last year that the Met Police were to investigate the case, and they have my full support in doing so. Could Boris please tell me if crime is down in London why my insurance premiums have more than doubled in 2 years? All insurance companies have told me the reason it’s more expensive is because of crime. Comparing my term against the second term of my predecessor, total crime has been cut by 10.8 per cent. Murders have decreased by 25.9 per cent, the lowest rate since 1960s. Robberies are down by 16.3 per cent. But I recognise more needs to be done, in particular in crime ‘hotspots’ as identified by insurance companies. This is why my manifesto Fighting Crime in London sets out two approaches to lower local crime: a renewed focus on neighbourhood policing by boosting Safer Neighbourhood Teams in Greenwich, adding up to three Police Officers and three Specials to every Team; and a push on tackling on business crime by requiring an Assistant Commissioner at the Met to have this specific responsibility. Why is my train service noticeably poorer; but fares have shot up? Unlike my predecessor, Ken Livingstone, who made record-breaking fare increases and broken promises on fares twice during his eight years, I have undertaken a major overhaul of TfL to deliver greater efficiencies and drive out waste, delivering £4.6 billion in savings by 2015. Tube delays have been cut by 40 per cent since I was elected and stations are being transformed. The problem we have is that our current system has the creaking Victorian infrastructure. With the population set to grow by another million to 2025 and with rail ridership alone expected to rise by 30 per cent in the next 8 years, we face increasing pressures. So it is time to build on the success of Oyster, which I rolled out to suburban rail, and push for a more fully integrated underground and overground system. In the next few months I will be campaigning for train and platform lengthening on all overground services, taking our overground up to five cars, which will improve journeys from Greenwich. And I want work with the Train Operating Companies to improve suburban rail, then we will also be able to hold fares down below the levels at which they have been increasing. I have already launched five chapters of my manifesto, which detail my pledges for Londoners. They can be read online at www.backboris2012.com/manifesto. In 2008 I pledged to run the most transparent administration in Britain, publishing all expenditure over £500 and I have delivered on that pledge. I am determined to be honest and transparent with Londoners about what we can achieve, and so all my pledges are funded and feasible, not based on unfunded pledges as some of my opponents’ seem to be. In particular, we can’t afford for Ken Livingstone, who has made at least £2.7billion worth of unfunded promises while campaigning to be Mayor of London. Why are supposedly high taxes a disincentive to employment, but high public transport costs are not? I have stood up relentlessly for the interests of the London economy, cutting pointless red tape and crippling taxes, whether they come from Whitehall or Brussels. We need to build the platform here in London for businesses of all kind to invest in. My approach to grow Greater London’s economy is more practical – to protect existing jobs, create new ones, and boost skills and training. Here in Greenwich I have unlocked the Greenwich Peninsula scheme that was left to waste under Ken Livingstone during the boom years. The Homes and Communities Agency (HCA) estimates 4,000 jobs will be created from new development there, which will see 10,000 new homes, 3.5 million square feet of office space and 150 shops and restaurants created. Across the capital, I will directly create more than 200,000 jobs and on average 1,000 new apprenticeships every week over the next four years. Jobs can be created through sound investments in public infrastructure, which will also enable us to hold fares down below the levels at which they have been increasing. Why are you encouraging more car use, and more pollution for people in the poorer part of the borough of Greenwich, with another tunnel (Blackwall tunnel relief / Silvertown link)? London’s transport is not just about rail, tube and buses, but about our roads too. People in Greenwich need better road networks. Less congestion also means lower pollution, improving the environment for local residents. So I will seek powers to construct a new Blackwall relief crossing, a road tunnel that will cross from Greenwich Peninsula to Silvertown, near the Royal Docks, and which will be completed within ten years. In addition, I will commit £50 million to enable immediate action to relieve the worst congestion blackspots in London, with priority being given to those roads which cause the worst delays and blight the communities who live around them. I have introduced New Bus for London which is around 50 per cent more fuel efficient than a conventional diesel bus and I will roll out with 600 vehicles on London’s streets by the end of my term in 2016. Through my strong relations with Government, I have secured £5 million to create a Clean Air Fund for London to improve air quality in hotspots. I will also continue a 100 per cent congestion charge discount for low emission vehicles so that there is a real financial incentive for Londoners to drive the cleanest vehicles available. Do you support extending the DLR to Eltham? The last four years have witnessed significant improvements to the bus network, operating over 18 million more kilometres since I was elected, including the number 132 route extension from Eltham to North Greenwich. There is a case for additional public transport capacity in the area, and planning of future DLR services – including extensions – is part of a London-wide strategy to manage growth in London. I’m committed to more a fully integrated underground and overground system, and in the next few months I will be campaigning for train and platform lengthening on all overground stations, which should help Greenwich commuters. Can you ask Boris what plans he has to make cycling in Greenwich safer? No sign of super highways or Boris Bikes here yet? My favourite journeys are through the sun-dappled streets of London by bicycle, so I understand the desire of Greenwich residents to have improved cycling networks. I have launched the Cycle Safety Action Plan which sets out how cycling in London can be made safer. I have instructed TfL to review 500 junctions on its road network to prioritise the roads in most need of change to improve cycle safety and outline what changes are needed. Some improvements and redesign has already been undertaken. In 2008 I promised the world’s best Cycle Hire scheme, and have delivered it. London has over 8,000 hire bikes, and 15,000 docking points. I will explore expanding the scheme further into outer London town centres, and would be delighted to bring them to Greenwich. I will also triple the number of Cycle Superhighways to twelve by the end of 2015 including Cycle Superhighway 4 which will run through Greenwich. I hope the people of Greenwich, like all Londoners, will see that the choice at this election is between taking London backwards with Ken Livingstone’s dangerous and unfunded pledges and wasteful schemes or taking London forward with a fully costed nine point plan to secure greater London’s future. 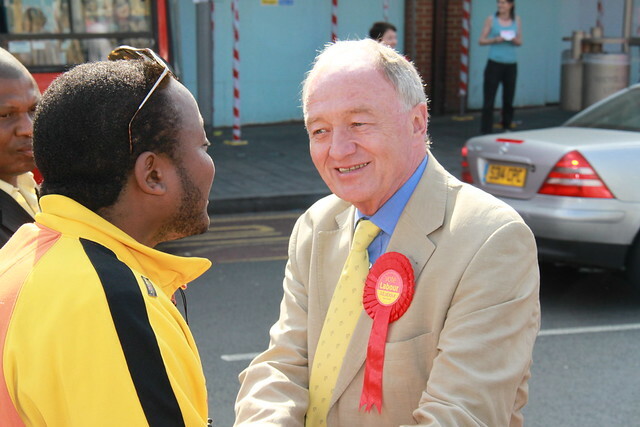 In the last four years, I have made 15 visits to Greenwich compared to just 3 during Ken Livingstone’s second term. I am proud of the practical achievements we’ve made here in Greenwich, after listening to residents and businesses, including 1,074 more police patrols a month, cutting total crime by 17 per cent and robberies by 31 per cent since May 2008 and unlocking the stalled Greenwich Peninsula scheme that was left to waste under Ken Livingstone during the boom years. But there is more to do. In Greenwich the nine point plan means putting an extra £445 back into people’s pockets, securing a £100 million investment to create over 4,000 jobs in the Greenwich Peninsula and investing in local transport with Crossrail access at Woolwich and Abbey Wood stations. I will go further and cut my share of council tax by at least 10 per cent during the next four years through a new efficiencies programme across the GLA Group. Information on the elections, which take place on May 3rd, can be found at London Elects. A PUBLIC health campaign by NHS Greenwich has seen an increase in the number of people taking the winter flu jab. Figures just published for winter 2011/12 show vaccinations were up for all the "at risk" groups across the borough, with the number of pregnant women having the jab up by 9% on the previous year. “For most of us, flu is a highly contagious infection that makes us feel very unwell. But for some groups, such as older people, pregnant women and people who already have an underlying health condition, the flu can cause serious illness and even hospitalisation. NHS Greenwich's 'flu safe' campaign saw posters and leaflets placed in GP Surgeries, pharmacies and supermarkets. The number of over-65s having the jab was over 75 per cent, reaching the target set by the Chief Medical Officer. THE WORLD'S number one music venue has appointed a new General Manager. The new boss at the O2 also had previous stints with English Heritage and Visit London. Work is currently under way on the Skywalk at the O2 which will allow people to walk across the former Millennium Dome. In other news, the leader of the ruling group on Greenwich Council was re-elected by his colleagues on Monday night. Platform: How will disabled spectators reach Greenwich Park from Maze Hill station? 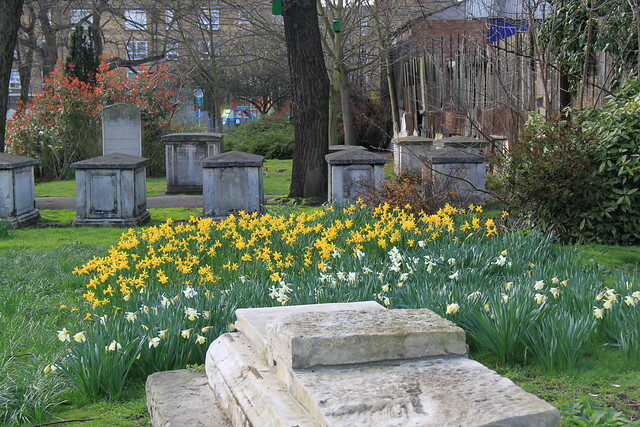 When the Planning Board considered the application to use Greenwich Park for the Equestrian events, the Planning Board report (p.94) records that the Westcombe Society urged that “Special attention should be given to the inadequate provision for disabled travellers at Blackheath and Maze Hill stations, including the installation of a disabled access on the down platform at Maze Hill”. Unfortunately the Council’s confidence seems to have been misplaced. No planning condition seems to have required the Olympic Delivery Authority (ODA) to deliver the promised additional rail infrastructure to provide disabled access at Maze Hill Station for departing disabled spectators. The plans for ‘the last mile’ to be considered by the Council in January require passengers to reach the departure platform by means of a footbridge that is inaccessible to wheelchair users. There is no proposal for a ramp to the platform from an existing gap on the bridge. Maze Hill (with Blackheath and Greenwich) is one of three Rail stations designated as a destination for spectators for the Olympic Equestrian Events in Greenwich Park. Unlike the non-Olympic stations on the line, it will have a full, six trains an hour service for arriving spectators from North Kent and London City Airport. But although it is the closest station to Greenwich Park, Maze Hill will have no disabled access to the down platform. However, no such safe and convenient route for the disabled has been established, less than nine months before the start of the games. The plans propose that the footbridge is reached using a very narrow pavement across the rail bridge and require possibly unsighted and slow moving disabled persons to cross Maze Hill close a blind bend, with no marked pedestrian crossing. No attempt is made to use the existing gap in the bridge wall (at a point where the pavement is much wider and road crossing much safer) to provide a step-free pedestrian ramp to the departure platform for the disabled. Unlike the footbridges over the A2 and Romney Road, there would be no expense involved in removing such a ramp after the games. Greenwich Council's weekly newspaper, Greenwich Time, will continue after moves by local Conservatives to have its future reconsidered were rejected. The Tories used their powers to 'call-in' the council's decision to carry on publishing the newspaper but the three-member Overview & Scrutiny Call-In Sub-Committee voted last night not to refer the decision back to cabinet. 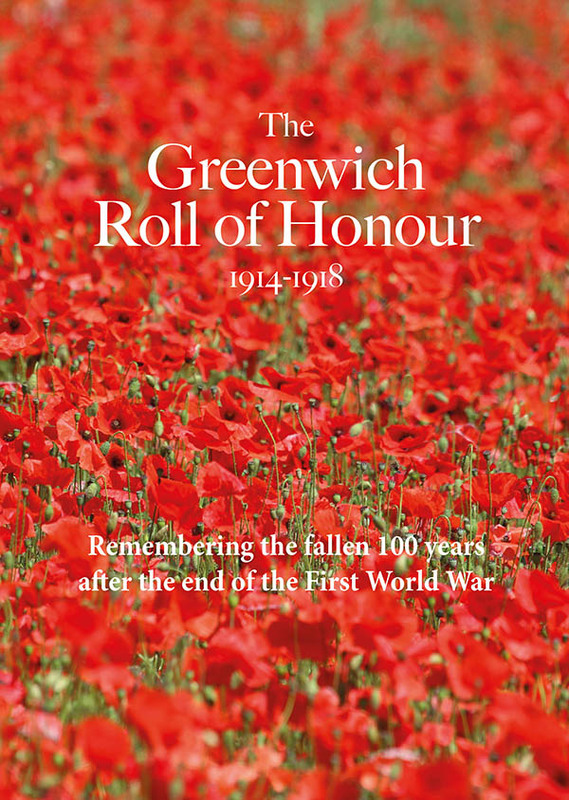 The decision to press on with Greenwich Time comes despite doubt being cast on the council’s claim that it saves up to £2 million each year by printing the paper each week. Conservative opposition leader Spencer Drury told the committee meeting at the town hall in Woolwich that neighbouring Bexley only spent £15,000 annually on placing public notices in a local newspaper. He was challenging a decision by the council’s cabinet to continue publishing GT weekly, defying a government code designed to restrict local authority publications. It was also revealed at the meeting that a community publisher is threatening to bring a case against the council for alleged damage to its business. Greenwich Council has long said that it saves money by using Greenwich Time to publish the notices - which detail planning applications and other formal matters - instead of paying a local newspaper to run them. A report presented to the council cabinet in July said the council was saving £2.3 million a year by publishing the notices in Greenwich Time - but Cllr Drury said Bexley’s deal with the News Shopper proved the council’s cabinet had “given little consideration to doing anything different”. “If Greenwich could get a similar deal with News Shopper and let us assume the Mercury, the same could be done for £30,000 for two years. This seems very different to the one to two million pounds randomly inserted in the report,” he said. 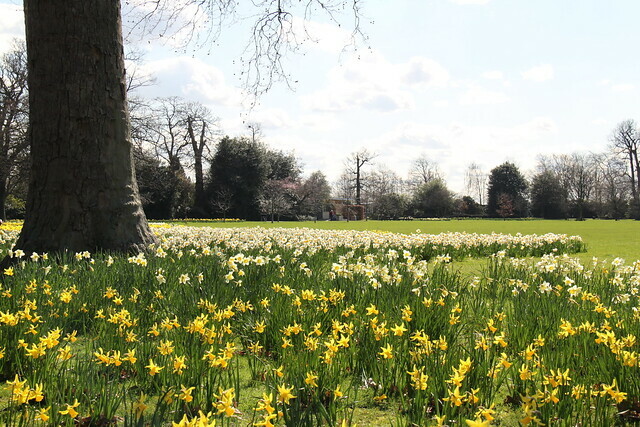 But council chief executive Mary Ney said the council’s estimates had been checked, and a comparison with Bexley was invalid because that borough issued far fewer public notices. Council leader Chris Roberts was on leave and did not attend the meeting, and nor did any members of the cabinet who took the decision, despite being invited, leaving council officers to explain the authority’s position. 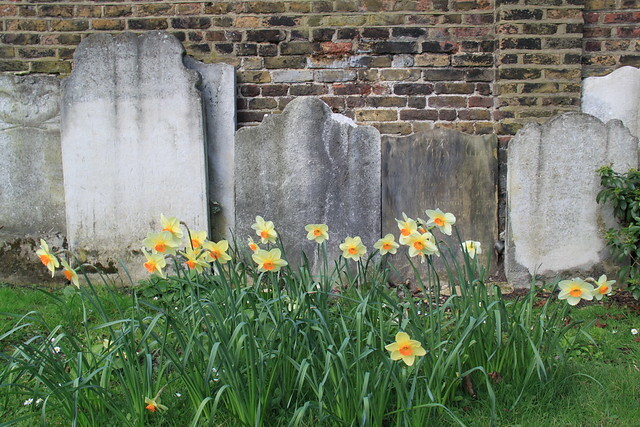 The publisher and editor of of Eltham-based community magazine SE Nine said they would be making a detailed complaint to the district auditor about Greenwich Time, “seeking financial redress for the damage to our business” since the code was introduced on 31 March. In a statement handed to the panel, Mark Wall and John Webb accused the council of unfairly competing against their monthly, and of having an “in-house bunker mentality sponsored by the existence of Greenwich Time”. 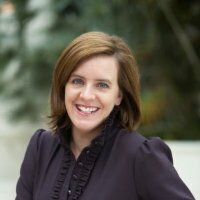 Assistant chief executive Katrina Delaney, whose communications portfolio includes GT, admitted to there being “one or two issues” with SE Nine but said she was satisfied GT’s sales team had not set out to poach the monthly’s advertisers. Ms Delaney said when the council had discussed working with existing newspaper operators, they freely admitted to not delivering to parts of the borough that did not fit in with their desired target audience. “One of them told me that essentially, they were looking for people who don’t live in the inner cities and who were Land of Leather buyers,” she said. “The Mercury sold ads for GT for six or seven months, but pulled out of the deal because it was too labour-intensive to chase advertising in Greenwich,” she said, claiming newspaper groups were less interested in the kinds of small businesses who promote themselves in GT. “The News Shopper in Bexley carries the same car ads as in Greenwich,” she added. Locally-based journalist and 853 blogger Darryl Chamberlain also addressed the meeting, claiming that recent coverage in Greenwich Time of the aftermath of Woolwich’s riot was not “objective and even-handed”, as demanded by the government in its code. He cited an opinion column from leader Chris Roberts criticising media coverage of the riots. “If he wants to rant about the media, he could always start a blog,” he said, adding that it appeared checks and balances designed to ensure Greenwich Time was unbiased were failing. But Ms Delaney said readers knew what to expect from a council publication. “The paper covers the council’s view,” she continued. “If you get a Marks & Spencer card, you’ll get Marks & Spencer’s magazine and it’ll cover Marks & Spencer’s view. The same with the gas board or BT or whoever. I think people understand it represents the views of the organisation. The three-member panel split on party lines over the issue, with Conservative Eileen Glover (Eltham South) backing the call for the cabinet to reconsider the decision. “When other people question our decisions, there should be evidence that we’ve gone out and based the decisions we do make on firm evidence,” she said. But Allan MacCarthy (Labour, Charlton) said the cabinet “must be at liberty to do what it considers to be appropriate”, and said there was no evidence that GT had affected the local advertising market. Chairman Mick Hayes (Labour, Eltham West) said that it seemed to him that most people had already made their minds up about GT and “I’m not sure any evidence would sway people one way or the other”. He said GT should be judged on its “effectiveness”, and no other paper could reach the number of households it did. The panel decided by two votes to one to let the cabinet’s decision stand. 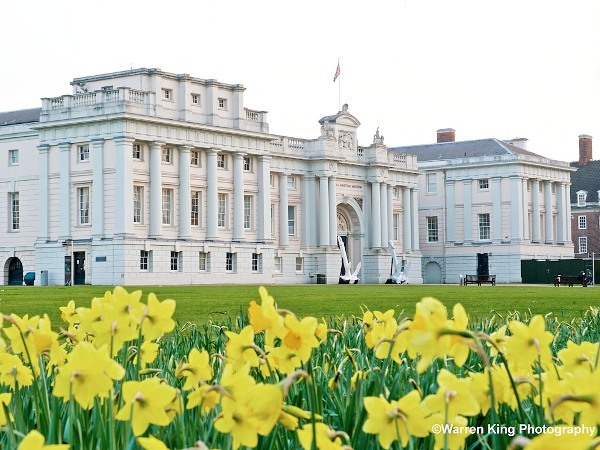 A Greenwich Council spokesperson said "The Council's Overview and Scrutiny Panel voted to note the decision of the Cabinet taken on 19 July 2011, with regard to the Code of Recommended Practice on Local Authority Publicity and take no further action. 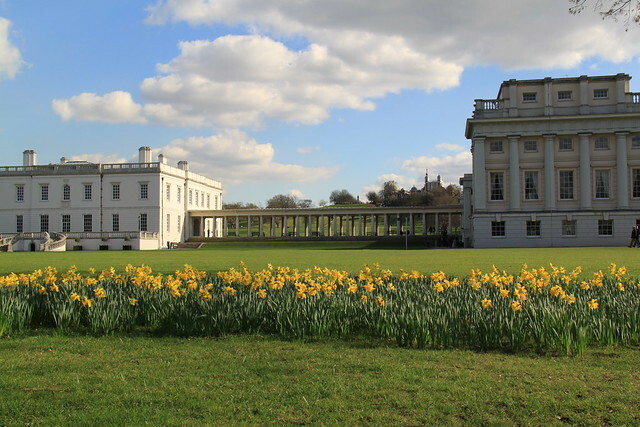 "Greenwich Council will continue to publish GT on a weekly basis in order to keep residents informed about local services, to advertise statutory notices such as planning applications and to promote social housing available through our Choise Based Lettings scheme." As Labour activists in Greenwich, we are ashamed that our Labour council has said that it will seek the eviction of council tenants involved in last week’s disturbances. Currently, Greenwich has the power to evict council tenants who commit offences within the neighbourhood or locality of their house. The reason for this power is to remedy a situation where a tenant’s repeated pattern of antisocial behaviour makes their neighbours’ lives miserable, for example, where there has been an “ongoing campaign of harassment” against neighbours. 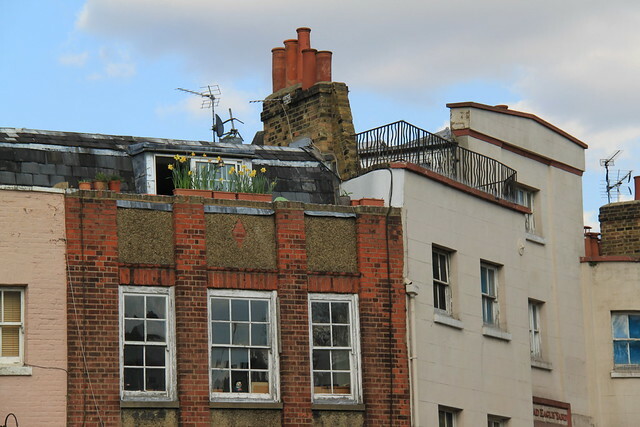 Greenwich, alongside other councils, proposes to widen substantially the notion of “locality” underpinning this power to evict tenants involved in the disturbances. Where offences committed in the rioting differ from those that have usually resulted in eviction is that they are not linked strongly to the home, nor are they likely to be repeated, continuing to make neighbour’s lives miserable. Consequently, eviction is merely an extra punishment to those in this particular type of accommodation. Unlike the millionaire’s daughter accused of looting shops in Charlton after travelling up from Orpington, Greenwich residents who live in council housing will be punished twice. Given, as the council’s own Equality Impact Assessment for its Housing Strategy makes clear, Black and Minority Ethnic residents are more likely to live in council accommodation, evictions also risk discriminating on the grounds of race. Evictions will also target family members who live in the same house who have not committed a crime and are likely to be women and children. These families will be caused considerable disruption to their family life while being rehoused. Children living in temporary accommodation are some of the most deprived, missing out on schooling, on play, and opportunities to develop. If, like Wandsworth Council, the council deems the family to then have made themselves deliberately homeless and sees no responsibility to rehouse them, the council will not only be undermining their right to a family life but also making destitution a punishment. Both of these things should never be used as a punishment for people, whether innocent or guilty of a crime. The ideology behind this and the proposed evictions is one that characterises council housing as an emergency and charitable measure for people who have failed and need help to get back on their feet, at which point tenants are expected to progress to renting in the private sector or buying their own house. Without security of tenure living in a council house ceases to be treated as being worthy of respect. The right to a home ceases to be unconditional and becomes conditional in a way that would be experienced by any owner-occupier as profoundly oppressive. Suggesting, at least for council tenants, that the right to decent housing is not unconditional is an attack on the rights of all council tenants, including the law-abiding. We are embarrassed to see our, Labour, council alongside Tory Wandsworth, and against Ed Miliband, who has warned against “kneejerk” responses like evictions, at the forefront of this tawdry and destructive populism. It seems that there will be campaigns including direct action against evictions. We hope we will not have to take action against decisions taken by councillors who we usually respect. "The sheer criminal behaviour we witnessed last night in Woolwich and other areas across the borough is utterly unacceptable and I will do everything in my power to ensure that those involved are caught. Brave police officers from the borough of Greenwich and from other units within the Metropolitan Police have been facing challenging circumstances in one of the worst nights this borough has witnessed in a long time. I urge everyone in the borough of Greenwich to clear the way for police at night so that we can deal with those criminals who intend to bring disruption to our area. Also, people must not to take matters in their own hands and have to let the police deal with incidents in a law abiding manner. I ask parents, schools, local leaders and others to stand together and convey the message that the crime and disorder we have witnessed will not be tolerated. I have spoken to many people across the borough today and without exception, they are appalled by the outrageous criminal acts of thuggery that took place. Many arrests have already been made, but I would ask everyone to work with police and help us to identify those involved so that we can arrest them at the first opportunity. We continue to work with the Council and other emergency services to ensure that we keep everyone in Greenwich safe. I have toured parts of the borough today with a number of senior partner and we are determined to work together to stop any ongoing criminal activity. Above all, we remain unfaltering and united in tackling criminals on our streets and look for support from you, the community we serve". 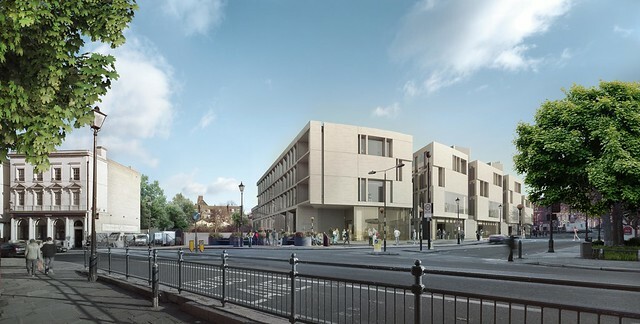 Greenwich Council's Planning Board gave the the go-ahead to the University of Greenwich's Stockwell Street redevelopment last night - despite a withering assessment of the project by council leader, Chris Roberts. The £76 million project will see the construction of a new dedicated School of Architecture and Construction in Greenwich town centre at the site of the old Village Market. A new university library will be also be included, as well as public areas such as a gallery and coffee shop. Professor Neil Garrod, Deputy Vice-Chancellor from the University of Greenwich, told councillors that this was a "once in a generation opportunity." He described how the building has been designed to be as "porous as possible," with the "whole ground floor open to the public." A new public walkway will be created adjacent to the railway cutting, connecting Stockwell Street and King William Walk, subject to an agreement with Network Rail. 27 objections were raised with the council and residents from King William Walk attended the meeting to voice their concerns that servicing for the building would take place in areas bordering residential properties. Before the project can begin, the 1960s office building, John Humphreys House, will be demolished. Local industrial historian, and councillor, Mary Mills told the Planning Board that she wanted to see more recognition of the building's role as a pioneering council computer centre and that "we should be a bit more proud" of it. The Commission for Architecture and the Built Environment (CABE) described the the Heneghan Peng-designed proposal as "exciting", adding that it was "well designed with an intelligent internal organisation." Cllr Steve Offord said it would be a "tremendous asset" to Greenwich. Cllr Denise Hyland, said she was "impressed" by the scheme. Following the expressions of support from his colleagues, Leader of the Council, Cllr Chris Roberts spoke strongly against the proposals. "I can't like this building," he told them, adding that they would "repent at leisure" if the scheme was passed. If he walked past it, he said, he would look over the road and "prefer the architecture of the Ibis [hotel]," prompting laughter in the public gallery. The project received the backing of the Board with a 6-2 vote. The decision is subject to approval by the Mayor of London. Commenting afterwards, Professor Neil Garrod said: "We are very pleased to have won the support of the local authority and we will continue to work closely with all our neighbours in Greenwich as the project takes shape."